KUCHING: As of yesterday, a total of 1,112 illegal immigrants have been arrested by the State Immigration Department of Malaysia, this year. Its Director, Ken Leben said that the illegal immigrants were arrested during various operations at various sectors in the whole state. “They were arrested because of various reasons that violated the law. “One, because they use their social pass to work. Two, their work permit has expired. 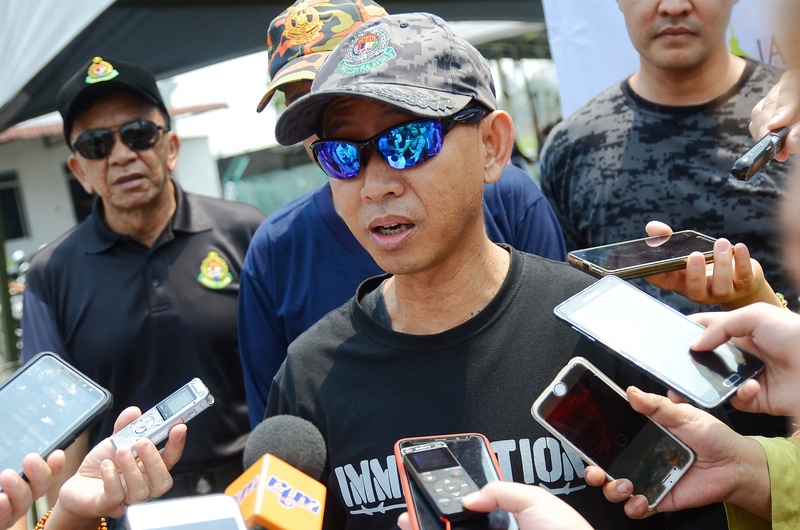 Three, they were supposed to work at place A but instead work at place B and four, they do not have a work permit,” he said when met by reporters at the Qurban celebration with Petra Jaya Fire and Rescue Department at Surau Al-Hamra, Fire and Rescue Semariang office here yesterday. He added that the department has always conducted daily operations regardless of the sectors as the department was committed to restraining illegal immigrants from coming into the State and the country. Meanwhile, Ken advised employers to ensure that their immigrant workers did not use social pass from the Immigration Department for working purpose. “These people who work here using their social pass as certain employers want to test them first and they let this happened. “The employers need to apply work permit for them from the Department of Labour (JTK) because upon arrival, the Immigration Department of Malaysia will issue a 30-day social pass. But, likewise they abuse the pass and work first,” he explained. Ken also said that he was not aware regarding the visits made by JTK to several coffee shops operated by immigrants who were found to be using their social pass to work. “I am not aware about this incident but there are two separate entities here. One is the Immigration Department which issued the social pass and two, the JTK which issued the work permit. “These are two separate entities and we cannot mix these together. One is yet to be determined because each representative agency have to execute their own law,” he stressed. He added that this incident may have happened due to the existence of a committee bringing in immigrants to the State and the incident becomes an isolated case. “I will look into this matter and check further on it,” he reiterated. He also urged members of the public to be the department’s whistle-blower on the whereabouts of illegal immigrants in the State. Over 1,000 illegal immigrants arrested 0 out of 5 based on 0 ratings. 0 user reviews.